The large creative output of the Danish composer Carl Nielsen (1865 - 1931) contains six symphonies, chamber music, vocal works and music for the theatre: two operas (Saul & David and Maskerade) and stage music for sixteen different plays. 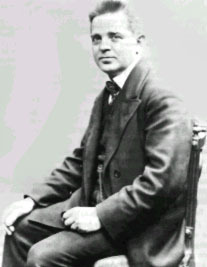 The stage music for Aladdin was written at the request of Johannes Nielsen, the director of the Royal Theatre in Copenhagen. This production was based on the drama Aladdin (1805) by the Danish author Adam Oehlenschläger.